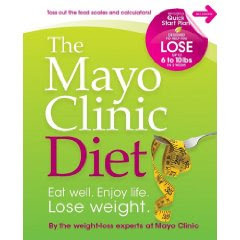 The Mayo Clinic Diet emphasizes foods that are not only healthy, but also taste great. Part 1, the “Lose It!” phase, is The Mayo Clinic Diet’s two-week quick-start plan. “Lose It” is designed to help dieters lose 6 to 10 pounds in just 14 days. After dieters complete the “Lose It” phase, they move on to Part 2, “Live It.” This phase is designed to help dieters continue to lose 1-2 pounds each week until they reach their desired healthy weight. “Live It” offers a customized guide to using the Mayo Clinic Healthy Weight Pyramid. I received a copy of the diet and a journal to track my progress. I love how easy it is to follow the plan and how much SENSE it makes. This is a review in progress as I'm still going along...I'll update this review as I move onto the other steps. **I received a free copy of the book and journal in return for an honest review. The Bone Chamber was fun. It's action packed and full of suspense. It's the second in the Sydney Fitzpatrick series but I didn't have any problems following the story. There's enough back history provided that things flowed smoothly. I really enjoyed the character development. Griffin and Sydney are great characters with plenty of chemistry! The suspense was well-written and pretty intense. The twists and turns are actually kinda surprising and definitely not formulaic. 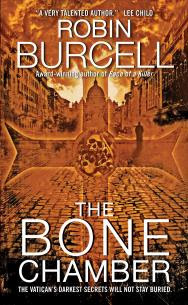 The Bone Chamber is definitely for those that have a fondness for action driven stories, with just a dash of (hinted) romance. I enjoyed Burcell's writing and will definitely pick up more of Robin Burcell's books! The phrase "page turner" would be an understatement for this one!! I always start the week off with Bookish Plans, and lately it seems that they always fall through. You've seen them if you've been here before, you know I crash and burn more often than I fly. Well not this week. This week is going to be about catching up. Instead of listing what I am going to do I'll just post a list of the books I need to read/review and HOPE they get read. How's that for aiming low? There..IF and that's a big if..I finish half of that I'll be a happy toaster. I have reasons for being a slacker last week! I really really do! My husband started his new job and he works like fitty bajillion hours, so I've been on Mommy overtime PLUS I have been busy on a job (from home.) So when I have a break I'm usually sleeping. But this is my second week of adjusting to the schedule, so I think I feel comfortable with it and can squeeze in some much needed reading time! Rich Benjamin's book makes you think. I laughed and winced at times, occasionally all at once! This isn't a light fluffy read though. It is a timely look at an old problem. This intelligent and thought provoking book hits on the nasty R word..racism. 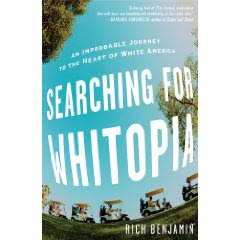 Rich takes a look at parts of white America and how they live, secluded and clustered away from the world and the big bad changes they see in the future. I will say that I appreciated Rich's approach. Not all white people are afraid of people of color and not all white people are afraid of change. He makes that clear, which helps this book have a balance that other books fail to reach. This book is definitely for those looking for a witty and absorbing "serious" read. Okay that was just a little of what I like to call "Humor" to start off this post. So you probably didn't notice my little absence since last week, but I was without interwebs for a few days! Remember back a few weeks ago when I mentioned our monitor was kicking the bucket? Well the bucket has been kicked...and kicked hard. Woo hoo! So yeah, I was stressing out and going crazy without my internets. My husband was in between jobs and thus in between paychecks, so we couldn't afford a new one. Monday (yesterday) he started his new job at a local Rent-a-Center and came home with a monitor!!! Apparently they had cleaned our their inventory and had one flat screen monitor laying around just waiting for us to pick up and take home! It's not as big as our last one but it works and it's nice! It's not too old so it shouldn't die on us anytime soon. Yay! My husband is my hero! So with that note, I'm back! I'm working on catching up with the review books I have and whittling my TBRs down, writing reviews, and tweaking this blog. Once we have a few paychecks under our belts and I have a good sense of what spare money we'll have at the end of the month I'll start hosting some giveaways! Using a trip to a baseball game, teacher Rafe Esquith describes his methods and ideas about teaching and creating well rounded children. 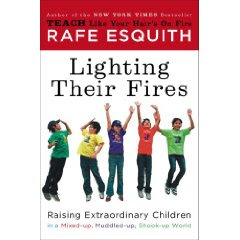 He explains the elements of a well rounded child and what ever parent should know about how to help their children be the best. I loved how he laid it all out bare and simple so that everyone could understand and follow through. As a mother of a boy that is quickly growing up and starting to understand more about the world, this book was an eye opener. I really appreciated the straight forward, non-nonsense way Esquith explained his methods. I found his ideas interesting and logical. I had several "ah ha!" moments while reading this book. Each little story is told to show his techniques and give a bit of history to them as well. This isn't just another dry "How to Make Your Kid a Genius," book. There is enough humor and fun to keep things from turning too serious. I would suggest this book to anyone with kids. I learned a lot from it and think that I will use some of the tips and techniques with my son. This book...WOW! Beautifully written and such a wonderful read. I can't describe how beautifully Deborah Noyes uses words. I devoured each and every word in this book. Noyes is quite masterful at catching your eye from the beginning and holding the attention til the last word. I couldn't stop reading this book! I felt that Pearl as a character was a living breathing person who was neglected and tormented by her mother's past. She was treated as a little devil for sins that were not her own. She was teased and segregated by her peers and the one person whom she needed was frigid to her. I felt sorry for her and wanted to wrap her up in my arms and let her know she was okay. Cheesy as it sounds I really felt for that little girl. Of course she grows up and has her own issues to deal with but Pearl as a child is someone that demands sympathy. I loved reading Pearl's story, from beginning to end I was completely in awe. The characters develop and change so beautifully. I really cannot say anything else other than this is a wonderfully written, well crafted book that I would highly recommend. 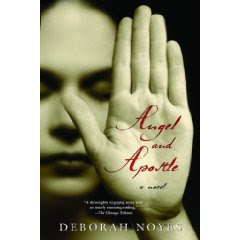 Deborah Noyes has created a masterpiece in my opinion. Sheesh! This book was such fun! It reminded me of the Transporter, you know that Jason Statham movie. I really had a good time reading Gutshot! I'm not really all that into action-y kinda books, but this definitely surprised me! I had to sit in the waiting room of a repair shop for almost 8 hours (funtimes, man) and this book helped me stay sane. It was fast paced and had a good mix of action and a little romance as well, but nothing too gushy so guys it's still safe! All in all, this book gets an A for Awesome! I liked it very much and think anyone that loves action movies or books would get a kick out of it. It's well worth the read! Mr. Tinfish the penguin lives with his family in an old oil drum at the edge of the sea, which he likes to think of as his barrel-lighthouse. Unfortunately since the time of the people the climate has been subject to sudden changes and a rapid rise in sea level creates problems, not only for the barrel-lighthouse, but for all of the animals and birds who are part of the colony. Luckily Mr. Vinegar the Walrus enjoys feeling important during a good crisis, and enlists the help of Mr. Choli and Mr. Ginger, the cats. Mr. Choli is the head detective of the colony, although his laziness usually gets the better of him as, being a cat, sleeping and eating roast fish are his main priorities. Luckily his companions, including Mrs. Cat-biscuit the goat, and his sidekick Mr. Ginger with his ever-rumbling tummy, are there to assist in his haphazard expeditions to help the colony whenever there is a problem. The sea level is not the only environmental problem facing the colony, and an expedition party is dispatched to investigate the drying river, led by Mr. Choli, who after all has his own magnifying glass and pipe to help him appear more detective-ish. The exploits of the companions continue with secret tunnels and a sea voyage to Volcano Island. As the adventures unfold, it turns out that being the keeper of a barrel-lighthouse is quite a useful innovation for penguin. All in all the book was fun. I enjoyed reading about the colony and all the animals that inhabited it. Mr. Tinfish is a cute character and made me smile often. I wished there could have been a few more pictures (for younger children) but that isn't that big of a deal. 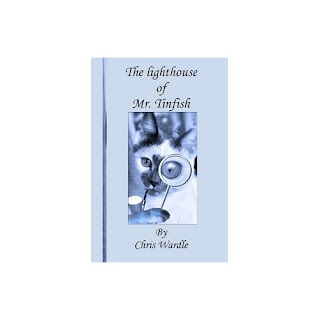 I'd definitely suggest The Lighthouse of Mr. Tinfish to kids who are interested in the planet and animals! Don’t think Ben, his friend Jill (and the tag-along Robert) can ruin a multimillion dollar real estate deal? 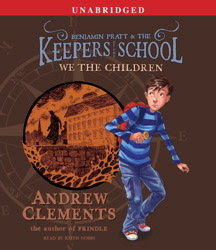 Then you don’t know the history and the power of the Keepers of the School. A suspenseful six book series, book one, We the Children, starts the battle on land and on sea. It’s a race to keep the school from turning into a ticket booth and these kids are about to discover just how threatening a little knowledge can be. Wizard's First Rule is the first book in the Sword of Truth series written by Mr. Terry Goodkind. 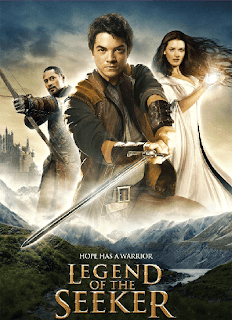 There are about 11 books in the series and now there also is a television series called Legend of the Seeker. 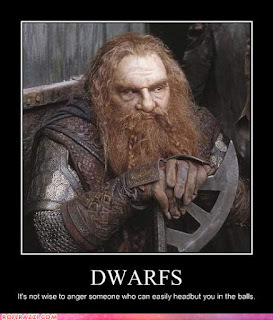 I love the show and had read the books but that was a LONG time ago. I found out there was a challenge for this series and decided to join. WFR is a great way to start out the series. It laid out the story and introduced the characters perfectly. The drama and adventure was compelling and definitely made the 820 something pages seem light. Each person introduced in the book was well written and just plain awesome. On that note I have only one thing to say: ZEDDICUS ZUL' ZORANDER! Sorry for the shouting but I have a soft spot for the Wizard of the First Order. I once had a cat named after him! I enjoy comparing and contrasting the series and the books. That is a fun game. I don't fall into the crowd that can't get past the differences. The "books are law" sect, I like to call them. The books are better than the show but the show is great in it's own right. I thoroughly enjoyed the book and will continue to read the series til the end. I highly recommend them for any fantasy fan! Since our car is STILL (sigh) acting wonky and we are broke, so I've decided to use my time wisely and READ!!! 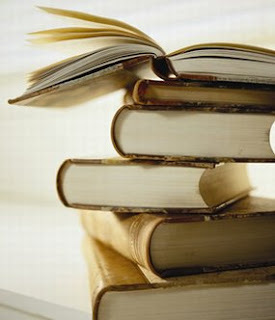 :) I'm not planning a read-a-thon or anything but I am planning on reading A LOT! I have been preoccupied with finances, the car, and basically just life sucking royally for us. This will be a much welcomed and needed distraction for me. I've got a pile of TBRs that I need to crack into and have some reviews I need to write! So anyhoodle, here are the books that I have piled up. I won't read them all (it's not possible in two days) but I will select from these and review them :) No excuses this weekend! and last but not least the book I've been dragging my heels on for some reason....Wizard's First Rule-Terry Goodkind. Really I have been trying to finish this one for almost three weeks! I'm finishing this one this weekend if it kills me!!!!-DONE!!! So those are my plans. 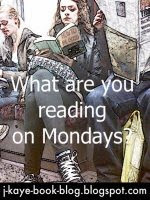 What are your reading plans for this week? Let me know! ! Proactiv® Solution, the world's best selling acne system, is a leader in acne prevention and treatment formulated to offer consumers the opportunity for a lifetime of smooth, clear, healthy-looking skin. Now with new micro-crystal benzoyl peroxide, Proactiv utilizes Combination Therapy® to directly target the root causes of acne – bacteria, oil production, and dead skin cell build up – and heal and soothe acne prone skin. Proactiv clears existing blemishes, soothes inflammation and redness, and helps to prevent new breakouts from occurring. 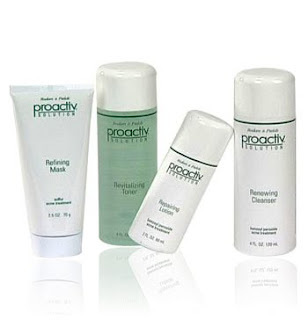 Proactiv Solution has a complete line of products, beyond the 3-Step System, including moisturizers, sunscreens, spot treatments and body washes formulated specifically for acne prone skin. Proactiv, developed by Drs. Rodan and Fields, celebrates its 15-year anniversary in June 2010. It has been used successfully by millions of women, men and teens around the world. The iconic 3-Step System, along with other products in Proactiv’s extensive skin care line, have been recognized with 27 coveted awards and honors from the beauty and health industry. Proactiv Solution is distributed by Guthy-Renker and can be purchased by calling (888) 819-2019 or online at www.newproactiv.com. I was excited to get a free introductory kit of New Proactiv Solutions. I've watched the commercials a gazillion times and was curious. I've never had a big problem with acne but I do have large pores and a problem with blackheads (yummy huh?) Well anyway, when I saw that they were looking for reviewers I jumped on the chance to try it! About three days ago the kit was delivered to my doorstep and I immediately went to my bathroom to wash my face (that's how excited I was!) I go through the instructions and get to work! The steps are simple. Wash using the cleanser, tone using the toner and a cotton ball, and then treat. That's it! My kit came with the Green Tea Moisturizer and the Refining Mask. The moisturizer is very good! I love the smell and it's definitely not greasy! Day one went fine. Day two on the other hand...well let's just say that I have sensitive skin. I should have known better. I will say that my results are not typical. I've researched the product and find that only a small number of people have the same issue come up. After the first day I woke up with a swollen left eyelid. My skin felt tight and slightly itchy, but my eyelid was the worst! I looked like I had gotten clocked a good one. I'm guessing it's the benzoyl peroxide that did it. I've read that some people with sensitive skin have issues with it. My eye is getting back to normal after a day of not using the products and my skin is feeling less itchy. I really am sad that I seemingly cannot use this product. I was excited about it but I don't wanna go around with swollen eyelids just to get rid of some blackheads! Now I cannot state that this result will happen for everyone! Like I said before I've only read where a SMALL amount of people have this reaction! I'm one of the lucky (sarcasm) ones I guess! I love the moisturizer and since there is no benzoyl peroxide in that I will continue to use it. Valentine's Day Book Massacre Contest! Omg this contest is insane with the insanity! Check out how many books are getting "slaughtered" over at Dark Faerie Tales!!! Giveaway ends Sunday, February 21st at 11:59 PM EST. Well last week was a bit of a bust it seems! I will go a bit easier on myself this time. I still have to finish Wizard's First Rule (for the SoT Challenge) but I've made a good deal of progress so I should finish it today or tomorrow, baring catastrophe! So without further ado, my list for this week! Those last three are children's novels and are pretty short. I don't think they will be a challenge. Well there you go! My list for this week! Hope I make it this time!